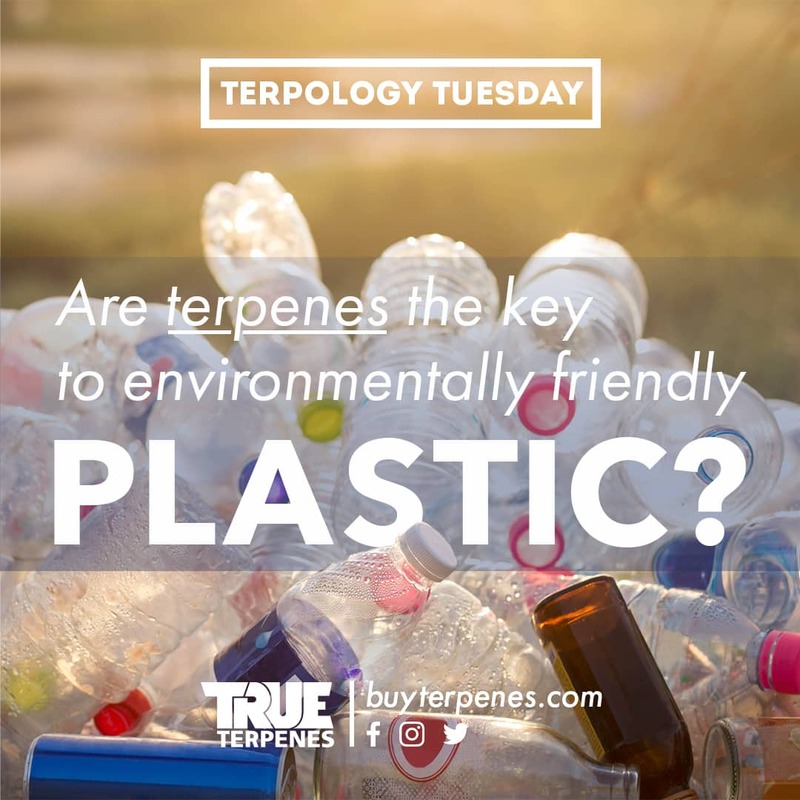 Terpenes may be the key to environmentally friendly plastic. The supply of fossil fuels is being depleted and at the same time their use is being linked to global warming and other pollution. Some of our previous posts have looked at the use of terpenes as the future of jet fuels. This is because terpenes in addition to being the building blocks of essential oils, are hydrocarbons just like fossil fuels. Terpenes and petroleum are both essentially hydrogen and carbon atom chains. These chains provide the basic elements aside from oxygen and a spark to create combustion which makes them excellent fuels. Beyond being good to burn, the carbon chains also create structure that helps form the basis of polymers like plastics. 2 groups at Universities in England have developed processes to synthesize plastics from beta-pinene and more recently from limonene. The papers point to the availability of these terpenes from the waste stream of turpentine/lumber and citrus processing facilities in the order of hundreds of thousands of tons a year. The scientists have the process down to between 3 and 5 step transformation from the original terpenes to a variety of polymers. Some of the polymers resemble nylon or polyester while others are more similar to polyactide (PLA) plastics. The studies referenced work with the terpenes menthol and carveol as well. The research shows that these environmentally friendly plastics are able to be recycled and are also biodegradable. It’s exciting to see how terpenes can help reduce the use of fossil fuels and pollution.